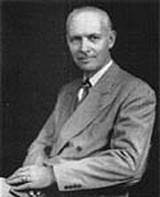 In the early 1960’s, Dr. DeJarnette gave Dr. M. L. Rees research data for a promising new hypothesis, Dr. Rees took it further by mapping points on the skull and their relationships to the spine, organs, and glands. 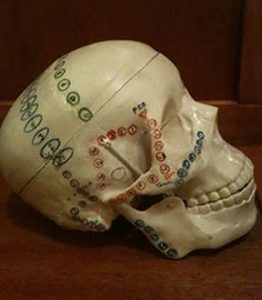 The Temporal Sphenoidal Line and its associated family of diagnostic points on the skull and Soft Tissue Orthopedic corrections was the end result. 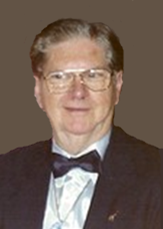 In 2011, Dr. Kenneth Y. Davis received from Dr. Rees’ son & daughter, Michael Rees and Debra Rees an enormous amount of archived research that spans over half a century.There were over thirty boxes, that consisted of loose leaf binders, audio tapes, 16 mm reels, floppy discs, and videos of Soft Tissue Orthopedics, Craniopathy, and other Advanced Chiropractic Techniques. 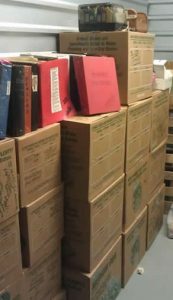 All of this material is being digitized and uploaded onto the Archives. As of July 2013, there are currently 75 entries in the Archives. These are PDF’s, Audio and Video clips which have all been digitized from Dr. Rees’ original documents. These fall under 29 Subcategories of Research. Secondary to the cost of storing and digitizing this large volume of material, there is a small yearly fee to gain unlimited access and the ability to download all materials. For SOTO-USA members, there is a trial membership at a reduced rate of $95.00 for Doctors and $75.00 for students. This will provide you with access to a specific 10 items, including Dr. DeJarnette’s Omaha Recordings and Dr. Rees’ The Art and Practice of Chiropractic. If you would like to upgrade to full access, your trial fee will be applied to the full Membership price. SOTO-USA Full Membership Pricing is at a reduced rate for both Doctors and students. SOTO-USA Doctor’s Annual Membership Rate is $200.00 and student’s rate is $150.00. To learn more, view the Rees Archives Catalog, preview a sampling of the video and audio clips already converted and sign up for your special SOTO-USA Membership Rate please click the button below.